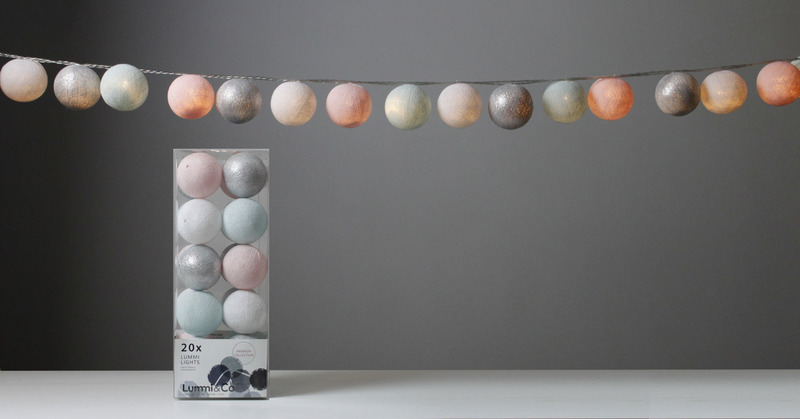 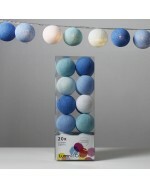 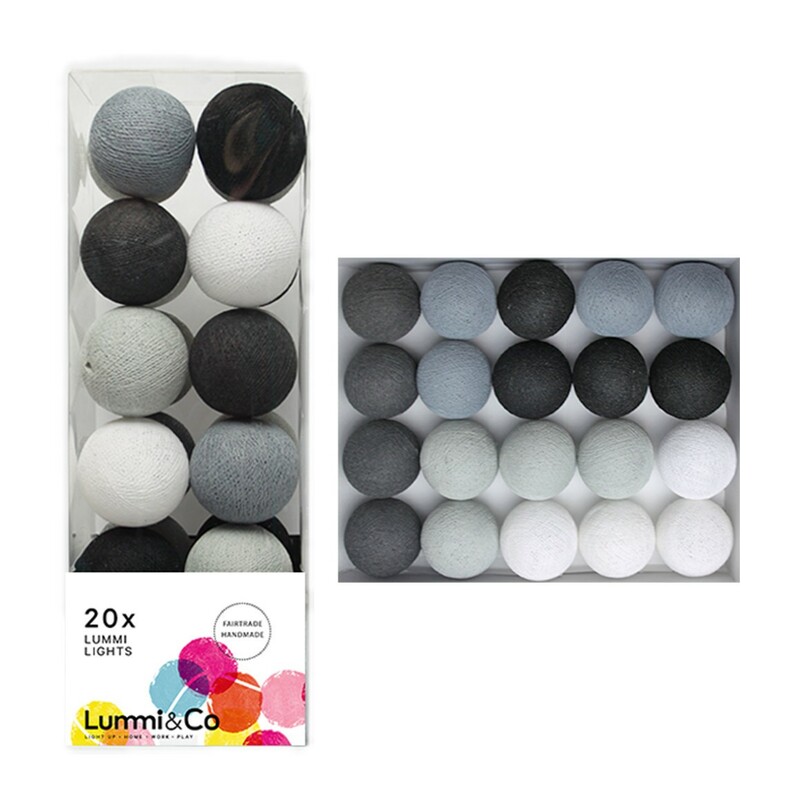 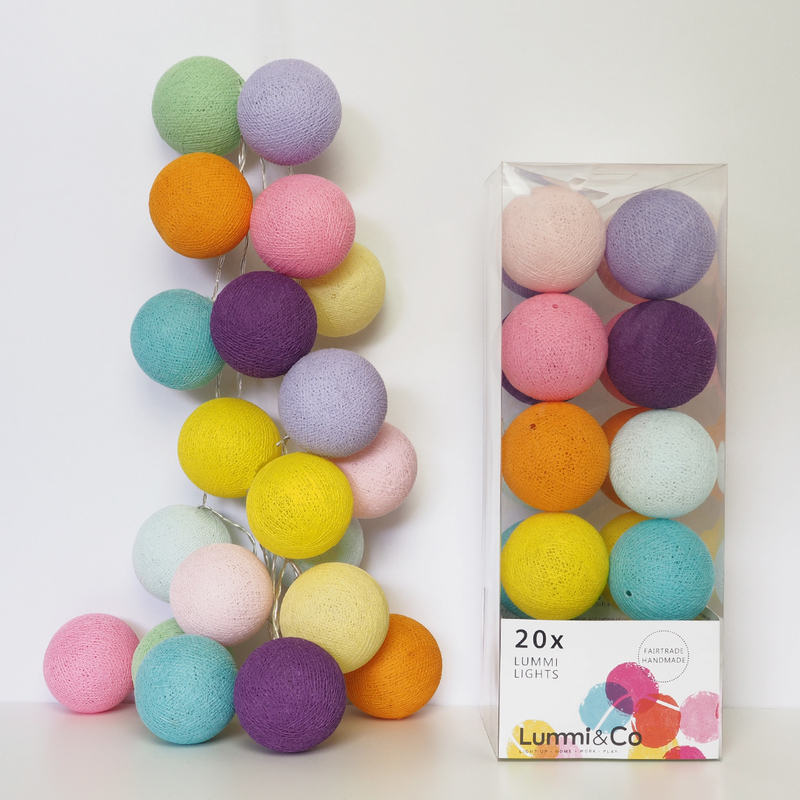 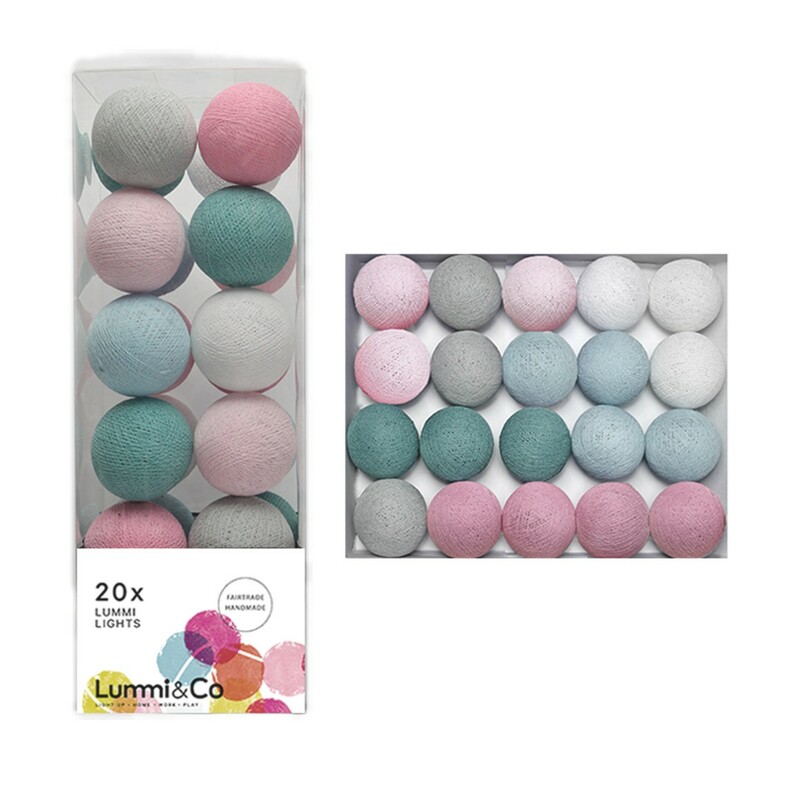 These pretty coloured woven fairy light balls make a delightful addition to any room. 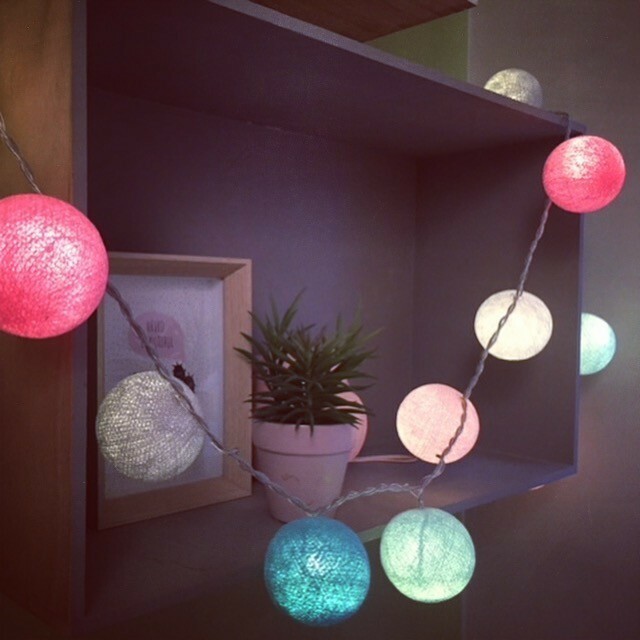 They come in a variety of colour combinations to suit any interior space. 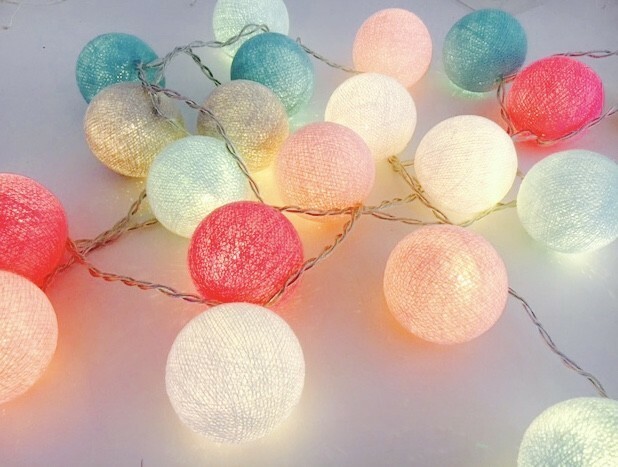 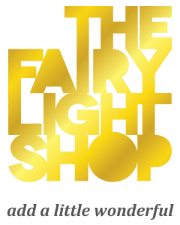 Strung around a mirror or down a wall these lights will cast a lovely glow wherever you put them creating pretty light shafts through the layers of yarn.